The Gratiot Conservation District is a Not-for-profit Organization that relies on outside funding sources such as grants and donations. We also have several fundraisers throughout the year including our Annual Tree Sale and sales of our Gratiot County Plat Books. Check out our store to see what else we have to offer! space is filling up fast! Billing will be in May of 2019. 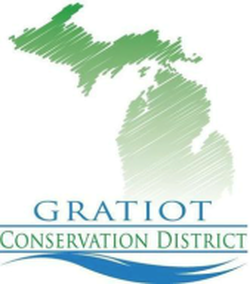 The Gratiot Conservation District has one opening on our Board of Directors and is seeking individuals who are interested in helping lead conservation efforts in the central Michigan area as either a Board member or Associate Board member. You don’t have to be an expert at conservation to be on the Board; you just need a desire to serve your community and make a positive difference for the future of Gratiot County’s important natural resources. If you are interested in being considered for the position of Director or Associate Director, please let us know. Appointments to the Board will be conducted as needed, and elections are held each February. Some of our current projects include a Pine River Watershed Management Plan, a Bad River Watershed Sedimentation Reduction plan, a Maple River Watershed Implementation Plan, the Michigan Pheasant Restoration Initiative (MPRI), wildlife habitat improvements, water quality testing, invasive species survey and treatment, conservation farming techniques, sales of conservation-related trees, shrubs & seeds, the Gratiot County Plat Book, the Hunting Access Program (HAP), and the Michigan Agriculture Environmental Assurance Program (MAEAP).